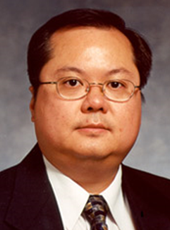 Dr. Li graduated with a BASc in Civil Engineering and a MASc in Hydraulic Engineering at the University of Windsor, and a PhD in Environmental Engineering at the University of Toronto in Canada. Dr. Li is an environmental engineering professor at Ryerson University, a licensed professional engineer, and the Diplomat of American Water Resource Engineers Academy. His current research focuses on eco-hydrology and hydraulics, water pollution control planning, environmental benefits of greenroofs, industrial spill management, urban stormwater management, and Enzyme-Linked Immunosorbent Assay technique for dioxin in environmental matrices. For the past 20 years, Dr. Li has provided technical services and advices to federal, provincial, and municipal governments. Dr. Marek Trojanowicz received his M.Sc., Ph.D. and D.Sci. (habilitation) degrees in Department of Chemistry, University of Warsaw. M.Sc. under supervision of Prof. Wiktor Kemula, Ph.D. under supervision of Prof. Adam Hulanicki. Post-doc one year stay in Tohoku University in Sendai, Japan, in research group of Prof. Nobuyuki Tanaka. Author of 300 scientific papers, 2 monographic books and editor of 1 book in the field of flow analysis and automation of analytical measurements. Recipient of prestigious Swietoslawski Award of Warsaw University for achievements in field of analytical chemistry, Kemula Medal of Polish Chemical Society and Scientific Honor Award of Japanese Society of Flow Injection Analysis. He was granted Visiting Professor positions in numerous Universities all over the world including long-term appointments in University of Michigan, University of California at Riverside, University of Tasmania, Australia and University of Sao Paulo, Brazil. Member of advisory boards of 6 international analytical journals and for 15 years Scientific Secretary of Committee on Analytical Chemistry of Polish Academy of Sciences. 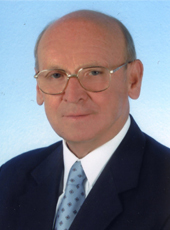 Currently he is titular professor of chemistry, and head of Laboratory for Flow Analysis and Chromatography in Chemistry Department of University of Warsaw and head of research group in Institute of Nuclear Chemistry and Technology in Warsaw. His research activity includes design of electrochemical sensors and biosensors, flow analysis, liquid chromatography and capillary electrophoresis for environmental, food and clinical analysis, application of ionizing radiation for water and waste treatment, and application of chemical analysis in archaeometry. Current number of citations of his publications is 4.300 (without self-citations without books), and Hirsch index is 35. Dr. Jason Gerhard (P.Eng) is the Canada Research Chair in Geoenvironmental Remediation and an Associate Professor at Western University. He has over 15 years of experience leading research into soil and groundwater contamination by hazardous industrial pollutants. Dr. Gerhard completed his PhD in 2002 at Queen's University and was an Assistant Professor at University of Edinburgh until 2007. At Western he co-leads the RESTORE (Research for Subsurface Transport and Remediation; www.eng.uwo.ca/research/restore/index.htm) group. His research program has generated breakthroughs in understanding the behaviour of organic contaminants in soils and fractured rock. In addition, he is co-inventor and research leader for a new technology for the remediation of highly contaminated soils (www.siremlab.com/star). 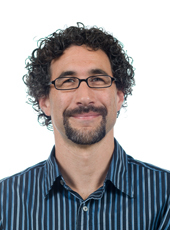 He leads experimental research from the pore to the field scale, and the development and application of computer models to assist researchers and practitioners restore polluted environments. Expert consulting has involved the design and optimization of remediation systems at field sites. Dr. Gerhard has acted as an Associate Editor for Water Resources Research and has delivered invited platform presentations at both international universities and leading conferences in UK, EU, Australia, and North America.